This box is now with a museum to be announced shortly. 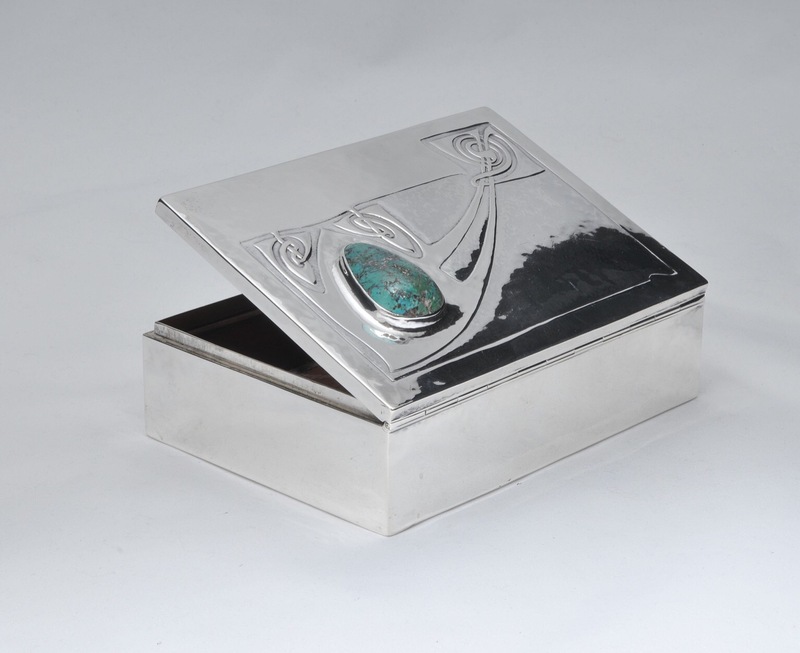 A silver box by Archibald Knox inset with a large turquoise stone. Hallmarked for William Hair Haseler, Birmingham 1906 and probably retailed through Liberty & Co. An exceptional example of Knox’s Celtic art nouveau style. This box was sold by Sothebys on 27th February 2003, lot 112. A similar example can be found in “Archibald Knox” by Dr. Stephen Martin page 245 and the design is also within the Liberty Silver Sketch book at Westminster Archive.